NOMINATED FOR THE CILIP CARNEGIE MEDAL 2019 'Pure reading delight' METRO 'A feelgood romance' OBSERVER Annie is starting college and she can't wait for the adventure to begin. No more being told what to do. No more rules. No more labels. As a teenager with cerebral palsy, independence matters more than anything to Annie. The last thing she's looking for is romance. Fab is starting college too. He's wild and energetic and he believes that the greatest adventure in life is falling in love. He's left his home in Poland and he feels adrift in the world. The one thing he's looking for is romance. What will happen when Fab and Annie meet? Will either of them find what they are truly looking for? 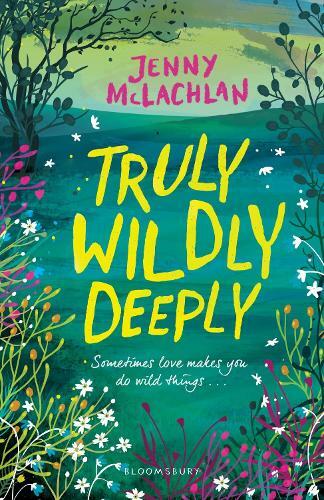 Big thoughts, big dreams and bigger laughs, Jenny McLaghlan is the star of feel-good fiction.